How To Start Your Own Blog Fast And Free! Yes, you read that correctly, you can start your own blog and I will set it up for you completely free. Have you wanted to start your own blog for some time now but just don’t know where to start? Hi, my name is Todd Restrepo I initially began working online in early 2006 and after setting up multiple successful marketing campaigns it was not long before I had more than replaced the income I was earning from my offline business as a computer engineer. My degree was in computer engineering but that’s just a fancy title, in reality, I set up computer networks. My business was very successful and I was doing quite well financially, however, once I had a steady and almost completely passive income coming in from the online business I phased out my offline career completely. I have never looked back and for the past 6 years, I have been helping others just like you start their own online business. The first few years I only worked with individual clients so I could offer personal one-to-one training without having to spread myself too thin. My goal has always been to help my clients achieve their online goals and now I want to help you! How To Start Your Own Blog Without Having To Deal With All The Technical Hassles! If you want to start your own blog for personal use or if you are interested in building an online business either way I will customize it to meet your needs, again free of charge. So what’s the catch? Believe it or not, there is “No Catch!” You will be benefiting from a strategic partnership I’ve built over the years with the two leading providers for web hosting and because of this unique partnership when you choose HostGator or Bluehost as your web hosting provider you get your very own blog or website for Free. Not Exactly Sure What Web Hosting Is? Click Here To Learn More! You see every website or blog requires a domain name and web hosting service. The domain name is simply the web address for your website or blog (one and the same) so for example, if you wanted your blog to be your personal name then you would purchase the domain: YourName.com and that becomes the address for your website or blog. Now your Hosting service is the physical location for where all your website or blog files and directories are actually stored. Without hosting services the web would simply not exist. When someone types your domain name into the address bar it’s like ringing the doorbell to your hosting company. If your domain name is typed in directly or if someone clicks on a link that leads to your blog the doorbell rings and your host serves up all the files and coding that creates your blog in a matter of seconds. Now there are literally thousands of hosting companies on the web and locating a good hosting service if you do not have much if any experience can be a daunting task. If you purchase sub-par hosting your site will suffer in the search results and it could take up to 20 or 30 seconds for your site to appear and most people will not wait around that long so you will lose visitors. I have known marketers over the years that have lost their entire online business due to bad hosting. I myself have used a variety of hosting companies but for the past 4 years, I have strictly used Bluehost and HostGator for both my personal sites and for my client’s sites. 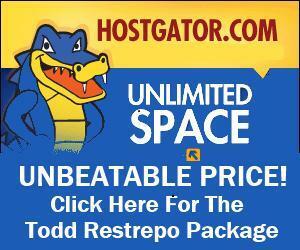 You simply cannot find a more reliable company then Bluehost or HostGator. They both offer 24-hour phone support and with my How To Start Your Own Blog Fast And Free Program you can purchase your Hosting service for as low as $4.95 a month that’s a price that can’t be beaten! What’s Included With My “How To Start Your Own Blog Fast And Free” Program? The short answer would be Everything! When you purchase your Bluehost or HostGator Hosting service through this site you will not have to worry about anything. I take care of all the technical aspects associated with building a website or blog. Your only job is to decide what your blog or website is going to be about and then choose an appropriate domain name for your site and I will even help you out with that if you would like. Click Here For A Detailed List of All The Services Included In My How To Start Your Own Blog Fast And Free Program! Remember I will be handling all the heavy lifting so don’t worry if you do not understand some of the things I will list here. After you choose your domain name I will set the nameservers to the hosting package you choose. I will install WordPress which is the most popular and powerful blogging platform available. I will create the databases that are needed to make your blog function properly. I will create the directories based on the specifics of your blog or website. I will take care of all the PHP and CSS coding to make sure your blog runs smooth and efficient. I will upload all the necessary files that create the main structure for your blog (it’s like the foundation of your home). I will then configure your blog with the top 10 premium plugins which will give you the best SEO infrastructure possible. I will install a premium theme and optimize the theme to meet the newest standards set by Google giving your blog a huge advantage when it comes to ranking in the search results. I will work closely with you to make sure that you are happy with the look and feel of your new blog. I will help you get your new site off to a great start by adding the content to your home page complete with images or possibly a video. So How Do You Take Advantage of My Special “How To Start Your Own Blog Fast And Free” Program? All you have to do is follow the 2 simple steps below and you will be on your way to having to very own blog or website up and running. I have put together an “FAQ” page or Frequently Asked Questions which you can find by Clicking Right Here! Should you have any questions or concerns that were not addressed in the “FAQ” page please do not hesitate to contact me because I will be more than happy to answer any and all of your questions. PLEASE NOTE: It will typically take me between 24 to 48 hours to have your blog or website setup but that time can be extended based on your specific needs. Okay, so the first thing we have to do is to get you set up with your Hosting account. As you know you can choose either Bluehost Hosting Service or HostGator Hosting Service. As I said above these are the two Best Web Hosting Companies available, not only do they offer the best service they are also the lowest priced. Although I have teamed up with both companies making this Free service available to you if I had to choose one over the other I would have to go with HostGator. This is not to say there is anything wrong with Bluehost because they offer terrific service and if they were not one highest rated hosting companies on the web I would not have teamed up with them on this Free offering. I recommend HostGator mostly because I have 75% of my personal sites hosted with them and the other 25% with Bluehost, plus HostGator offers a little better pricing because I use them for all of my client’s websites and blogs. Important Note: To receive your Free Blog You Must Signup For Whichever Host You Choose By Clicking On One of The “Click Here” Links Below. Need help getting a Hostgator account? Click here to watch video tutorial. 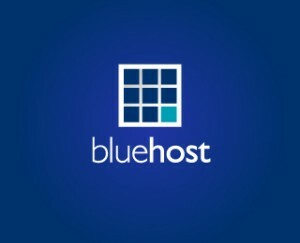 Need help getting a Bluehost account? Click here to watch video tutorial. Once you have signed up for your new hosting account with either Bluehost or HostGator using one of the links above please fill in the form below so I can start building your new website or blog. Pretty simple process wouldn’t you say? : ) I will contact you within 48 hours so we can finalize your new website or blog. That’s it, you are done, all you have to do now is to decide what your blog will be about and how you will be using it. With my “How To Start Your Own Blog Fast And Free” program you can use your new blog for personal use or I can show you how to make some money with your blog, it’s all up to you!